Between the excitement of opening weekend for the highly anticipated film Black Panther and all the added star power descending on the city of angels, there were more brand activations than any one person could possibly handle in a long weekend. It's no wonder the energy was so palpable in Los Angeles for NBA All-Star Weekend. Jordan Brand plastered the city with branding. Kendrick Lamar took more than one stage to share his wisdom and performed a couple times in his hometown. Adidas blitzed the city with a music festival and basketball activations. It was a great weekend of hoops in and well beyond the Staples Center. Skateboarding at Venice Beach, CA. Shot on Kodak Tri-X 400. Knowing that I would be in the thick of things most of my time in LA, I decided to step away from all the action for a little while and mix in some analog photography with my digital workflow. I spent some time at Venice Beach where I took in some skateboarding and playground hoops. I also teamed up with Beats by Dre to create portraits during their Let's Play vinyl record shop event featuring world renowned DJs Clark Kent, Ali Shaheed Muhammad, and my dear friend Bobbito Garcia aka Kool Bob Love among others. Skateboarder at Venice Beach photographed on Fuji Provia 100. Skater at Venice Beach. Shot on Fuji Provia 100. Venice Beach, CA. Shot on Kodak Portra 400. Legendary DJ Clark Kent aka "God's favorite DJ", shot on Fuji Provia 100. Iconic sneaker head (he literally wrote the book on it, Where'd You Get Those?! ), world famous DJ, legendary handle wizard, and extraordinary independent documentary filmmaker Bobbito Garcia aka Kool Bob Love, shot on Fuji Provia 100. Bird for the bucket, shot on Kodak Tri-X 400. Young girl takes in the action at Venice Beach, shot on Kodak Tri-X 400. Sunset on Santa Monica, shot on Kodak Portra 400. 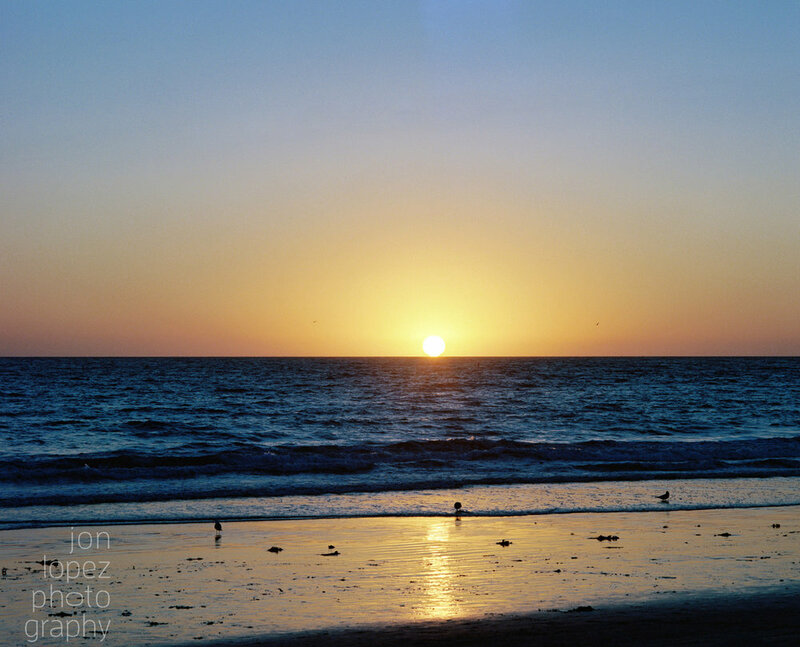 Santa Monica, CA sunset, shot on Kodak Portra 400.